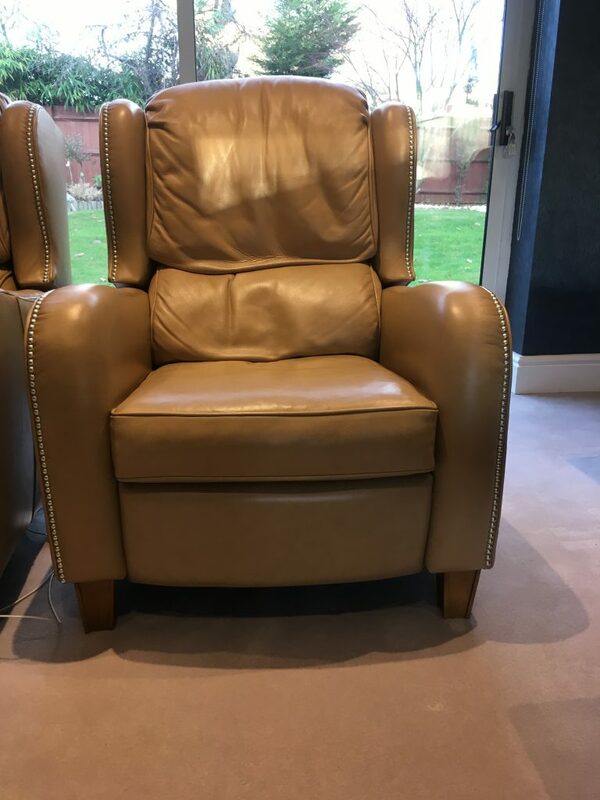 We are often asked to change the colour of leather furniture. This in principle is possible providing the leather is to become a darker colour, but it is not as simple as it may seem. In this case we have to dismantle the chair completely and remove all of the decorative studs. Everything needs to be thoroughly degreased and prepped before we can apply a pigmented base coat. 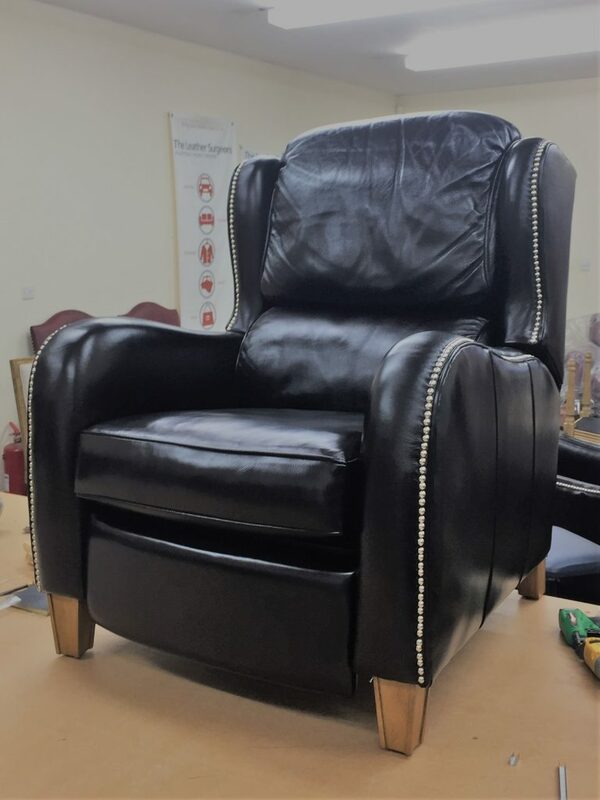 The entire chair can then be refinished with the darker colour and sealed, before it is re-assembled and new studs added. The results are worth it though!